Andrea Leadsom has told the Oxford Farming Conference that the poultry housing order is to be extended until the end of February due to the risk of bird flu. 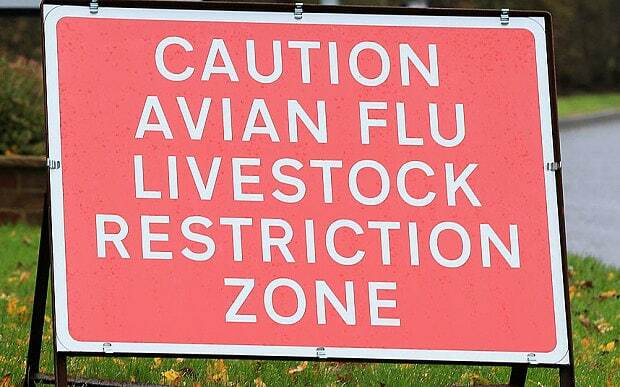 The Chief Veterinary Officer for Wales yesterday confirmed Avian Influenza H5N8 in a back yard flock of chickens and ducks on premises in Pontyberem, Carmarthenshire. Prior to confirmation it was decided to cull the birds on strong suspicion of disease. A 3 kilometre Protection Zone and 10 kilometre Surveillance Zone have been put in place around the infected premises, to limit the risk of the disease spreading. This is the same strain of the virus identified in a wild duck in Llanelli on 22 December, a turkey farm in Lincolnshire on 16th December and cases in wild, captive or domestic birds in many European countries, the Middle East and North Africa. The Government says it is important that producers practice the 'very highest levels' of biosecurity. EU regulations state that producers required by Government to house birds can retain their free range status as long as birds are not housed for longer than 12 weeks, after that the regulations state that they lose the free range status. British Veterinary Association (BVA) Welsh Branch President, Neil Paton, said: “This is the first incident of this avian flu strain in a kept flock of chickens and ducks and it shows the very real risk that the disease poses to backyard flocks. “A Prevention Zone has been put in place across the whole of Great Britain, requiring all poultry keepers to house their birds or, if that is not possible, to take measures that keep their birds separate from wild birds. This could include feeding and watering them under cover and keeping them away from standing water, so that wild birds are not attracted to visit.